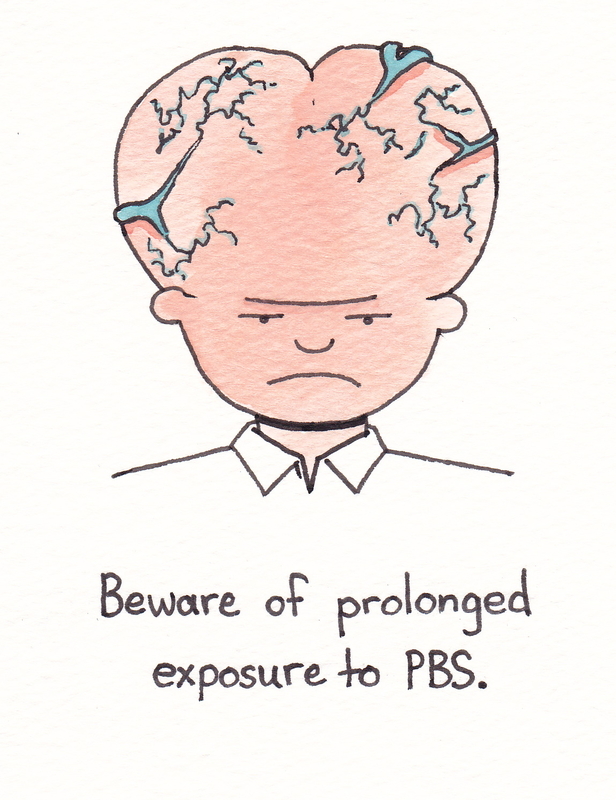 Beware of prolonged exposure to PBS. When we were first married, my wife and I lived in an area where we received only three TV stations: ABC, Telemundo, and PBS. Since ABC had a very fuzzy picture and neither of us speak fluent Spanish, PBS became our go-to station. 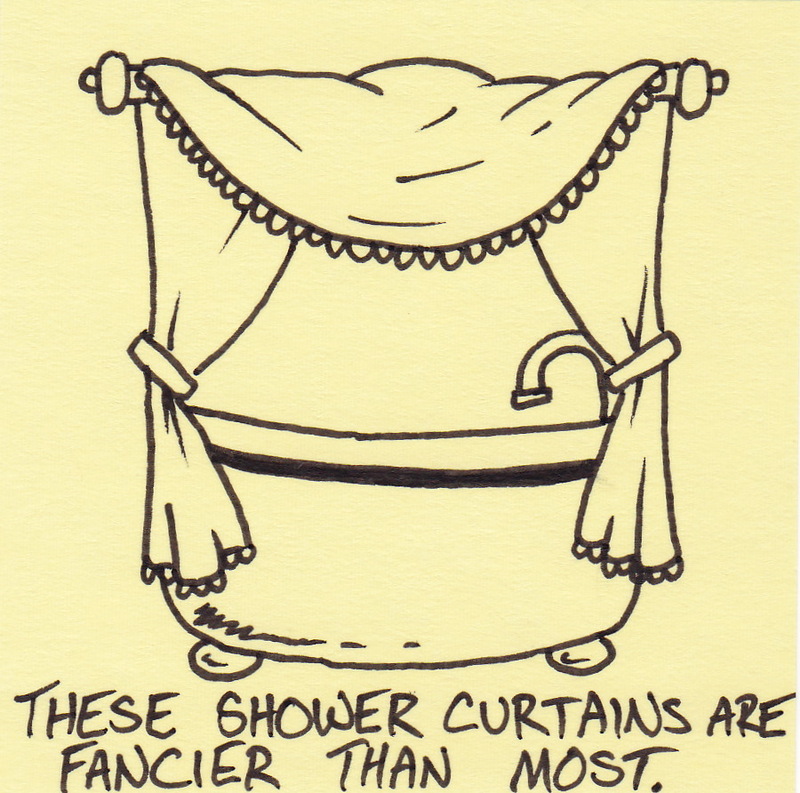 We spent the next several years watching nothing but shows like Masterpiece Theater, Mystery, and Antiques Roadshow. We were never upset about it, but I can remember wishing that we at least had a few more options. Now we live in a house where we get 100’s of cable channels. Not only that, we can digitally record any program to watch at a more convenient time. With all these choices, guess what fills up our DVR? Before anything else, I should say that this is my 200th post on wordpress (hooray!). Secondly, this past Saturday saw a new record in the number of page views for a single day: 3,252 (which beats the previous record of 3,147). 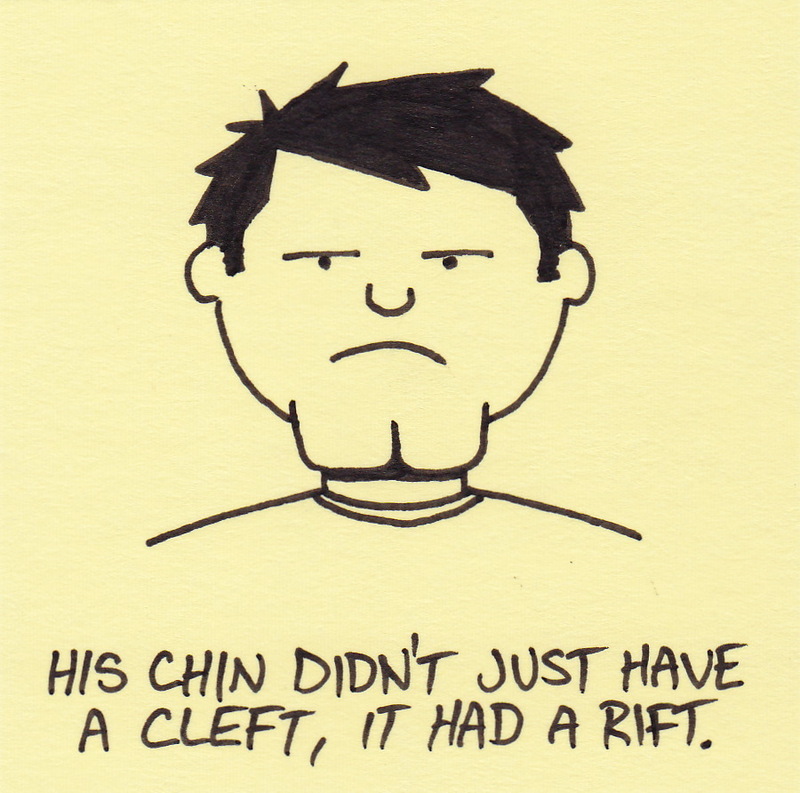 This was largely due to the fact that one of my older cartoons started making the rounds on Tumblr. Additionally, after poking around Tumbler a bit, I found that about TWELVE THOUSAND different people have gone one step further and reblogged the image on their own Tumblr page in the past three days. You may be wondering which cartoon it was? What was the subject that provided such a common point of interest in such a large number of people? 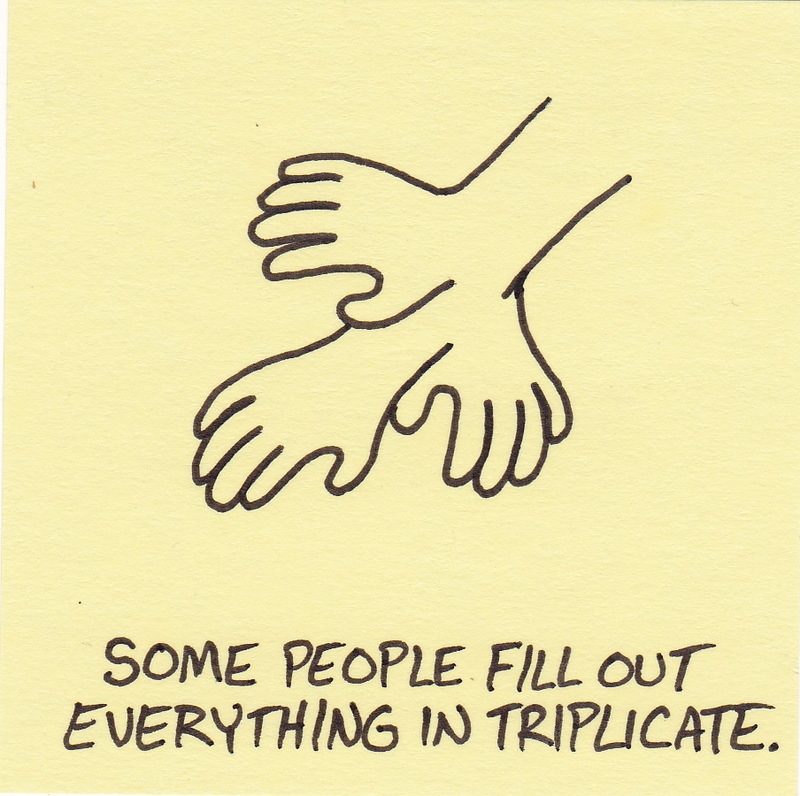 Some people fill out everything in triplicate. 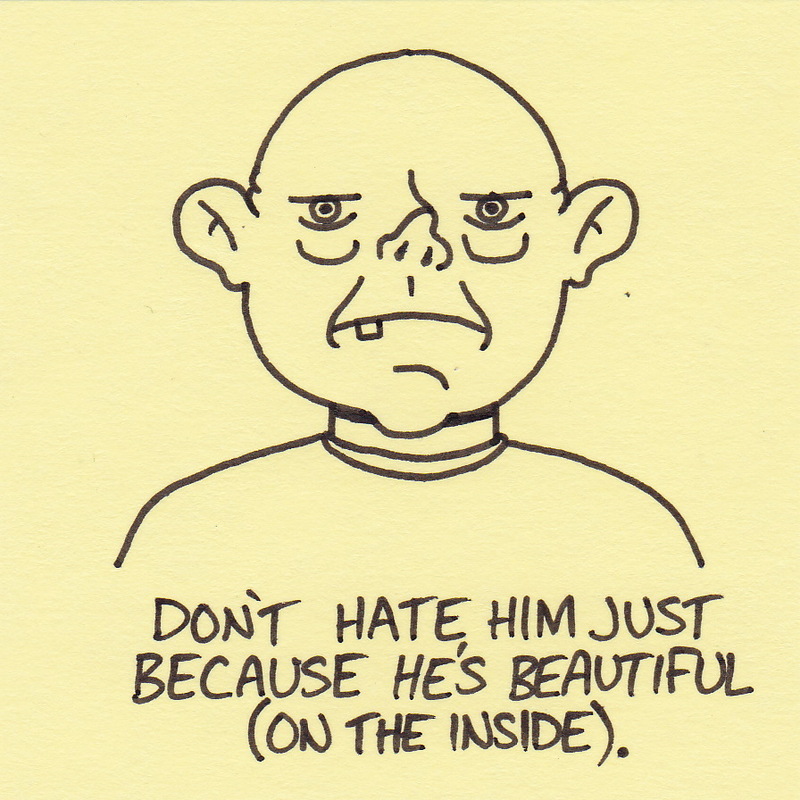 Giving this guy a high five would be awkward (even more awkward than giving high fives usually is). Despite their continuing popularity, I have still had no desire to join any of the many available social networking sites. 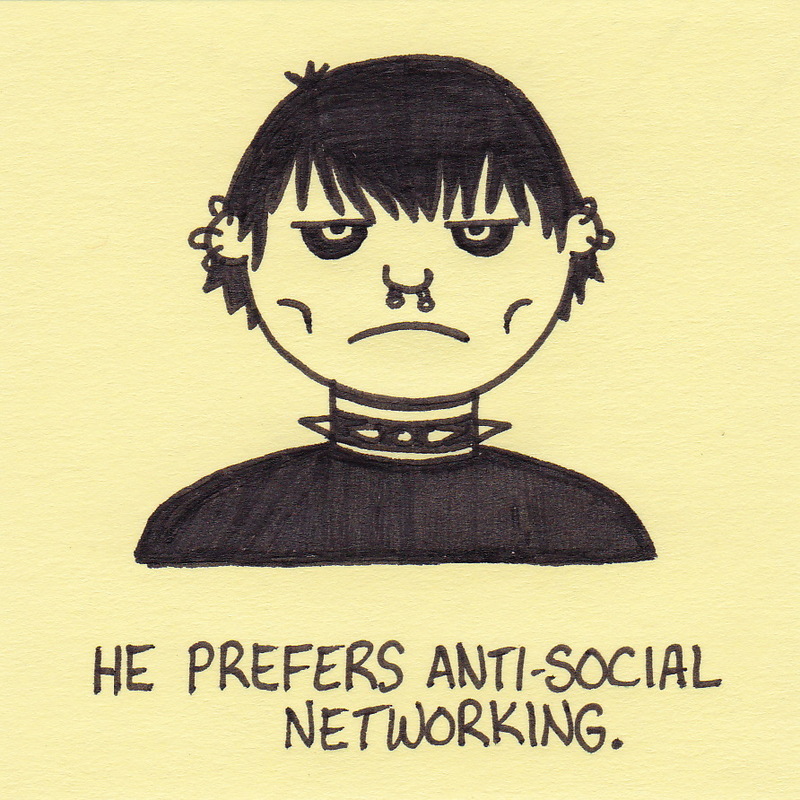 Does that make me anti-social networking or just anti-social? 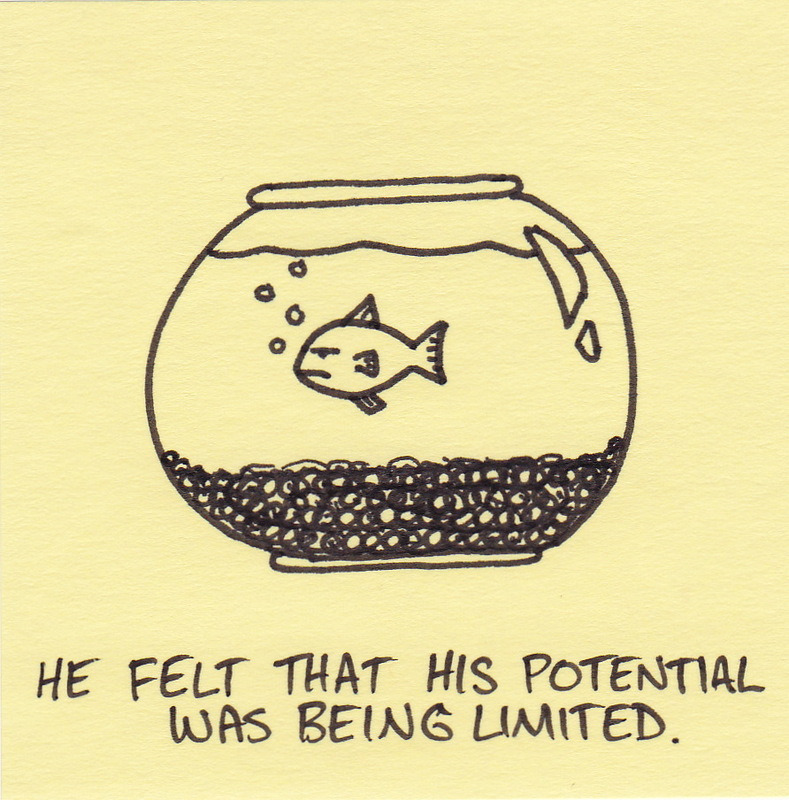 He felt that his potential was being limited. Some birthdays you remember forever. On my fifth birthday, I received a goldfish. It wasn’t a surprise, but rather an event that had been built up for several weeks. My Grandparents lived in town (we lived on a small farm at the time), so they brought the fish with them when they came for the party. My Grandpa was in charge of the whole process. He explained how we had to let the fish float in it’s plastic bag inside the fish bowl for 30 minutes so that the water temperatures could equalize. He told me that we would add the water from the bag to the water in the bowl so that the fish would feel at home. He even showed me the fish food and how much to use when the time came. When it was finally time to let the fish out of the bag my Grandpa slowly emptied the bag into the bowl. The water came out, but the goldfish did not. It had somehow managed to get stuck in the bag. I was starting to worry, but my Grandpa assured me everything was okay. He gave the bag a few gentle shakes. The fish still did not come out. At this point I was whimpering, all the adults were offering advice, and Grandpa was starting to feel the pressure. He gave the bag a much harder shake. However, it didn’t go into the fishbowl. It landed, with a wet smack, on the tile floor. I was now crying, the adults were shouting, and my Grandpa was so surprised that he jumped into the air. And landed right on the fish. Everyone froze. We all stood there for a few heartbeats just staring at my Grandpa’s shoes. Then he quickly said, “Whew! He almost got away!” while scooping up the goldfish and plopping him into the fishbowl. I tried feeding the fish, but he didn’t seem very interested in eating. He just wanted to float upside down. Some birthdays you remember forever, whether you want to or not. 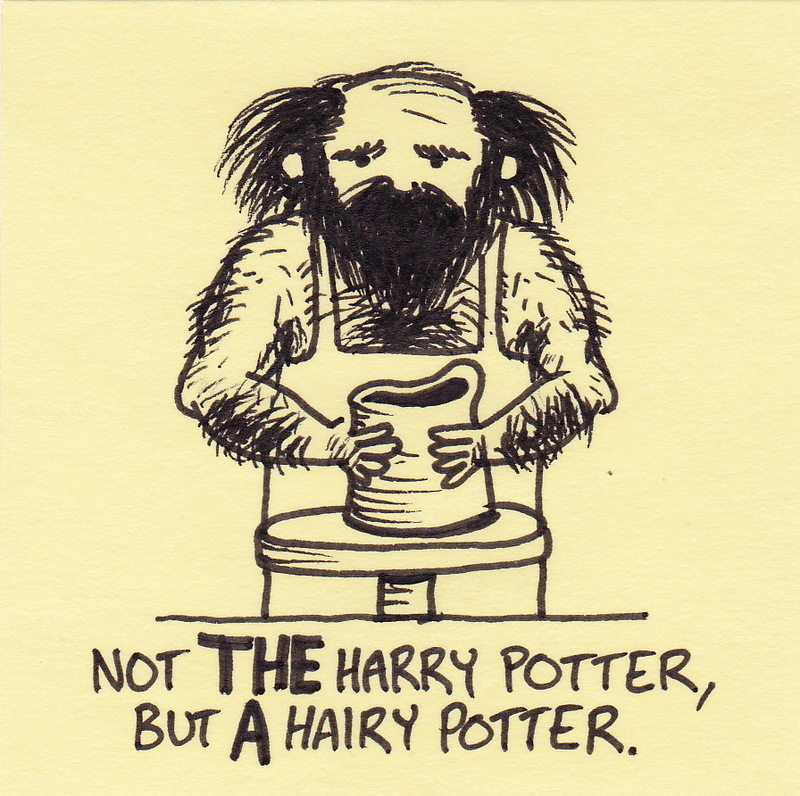 You are currently browsing the Inkjot blog archives for July, 2011.